Is there anything better than eating some Iberian Acorn Ham? I just got tagged by Valli from More than a Burnt Toast. She is a beautiful person and her blog reflects her love for life and food. Go take a look and enjoy her posts as much as I do :D.
*So – who were my last ten commenters? 3. Does number 6 reply to comments on their blog? Yes she does, I just checked that. Thanks Marianna :D.
4. Which part of blogland is number 2 from? She is from Spain!!!! Actually she lives in Canary islands which belong to Spain but they are closer to Africa than to Spain, a wonderful place to leave at… wonderful beaches and people :D. But Nikki is original from America, aren’t you Nikki? 6. Have you every tried something from number 9′s blog? I know that many of Laurie’s recipes have shocked me!!! She has a precious blog, love her stories of wild Alaska and her pictures and recipes… I might have done one or two or she might have inspired me to perform my own, but I don’t remember now. Go check her blog! 10. How did number 5′s blog change your life? It seems that this meme was made on purpose to answer all my blogging main themes… Jenn really did change my blog life!!!!! When I met her and her blog a new world showed to me! She was so sweet and helpful and her Blogroll was such a fantastic discovery and her monthly challenge foodie Event was perfect to meet other bloggers :D. Just GREAT! 11. Do you know any of the 10 bloggers in person? Not in person, but I think I know them much better than some of my neighbours. 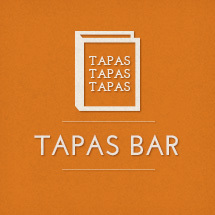 I would love to meet them all and have some tapas and a beer in my house terrace. 12. Do any of your 10 bloggers know each other in person? Who knows? I don’t think so. 13. Out of the 10, which updates more frequently? Deeba and Jenn, I think. 15. Which of the 10 has made you cry (good or bad tears)? Maybe Valli, Jenn and Laurie have the most moving and touching stories. This was the Meme. And now the Awards I received come from Greece :D. First from Johanna and the second from Ivy, the Excellent Award and the Arte y Pico. Thanks so much girls for thinking about me when giving away your awards :D. Please forgive me for taking so long to post about it. Maria from Kali Orexi. She is also Greek and her dishes are so true and delicious. Nathan from La Cocina de Nathan such a hard worker and such delicious latin recipes. Joan from Foodalogue a smart girl that in no time has been able to get in our kitchens and hearts. Emiline from Visions of Sugar Plum the sweetest girl in blogosphere :D.
Jen from A2EatWrite. A wonderful person and a great blog! WHAT WILL I POST ABOUT ON FRIDAY? WILL YOU HELP ME TO CHOOSE? WHAT DO YOU PREFER… SWEET OR SAVORY? Rosquillas or Salmón? Double-thanks for the double-mention. You’ve played a big part in the confidence I feel and the support I have received. I’ll be fulfilling my meme obligation as soon as I can get it all together. P.S. Preciosa, la nena. You should show her off more. I dream that someday I’ll have access to Iberian ham. I do love Serrano though and think it is pretty darn good! Oh Nuria, thank you so much for your kind words about my blog. You do such a great job and are the best ambassador for Spanish food around – you beautifully explain just how wonderful it is. I really appreciate the effort you make and am looking forward to the day when you write your cookbook!!!! Hola Mallory :D. We couldn’t agree more on Ham!!! The little cuttie is not my daughter… she is kind of my grandaughter (the daughter of my husbands’ daughter) Gosh… a bit difficult to explain. Hola Tony! Cualquier hora es buena para comer jamón! what a sweet picture with such a happy-ham face! i vote that you post about salon only if you will post about the rosquillas soon afterward! Laurie, if you want to do a package exchange, I can send you some Iberian acorn ham and you send me that moose head ;D… just kidding, but really if you want me to send some… let’s talk about it! Hola Familia!!!! Long time no see :D. Hope everything is fine with you :D. Thanks for voting here… ok, first salmon and after rosquillas. Sorry I wasn’t here to be one of the ten to comment on your blog. I missed you and you are right Iberian Ham is great, I am luck you sent me some but guess what I bought from France?? I got some chorizo and can’t wait to try it. Have you got a recipe link to send me? Thanks for the invitation to visit you in Spain. I wish I could but who knows? Thank you so much Nuria! You’re the best! and you know how i feel about iberian ham! 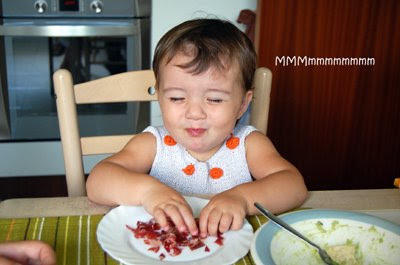 i want a kid who eats iberian ham and looks cute and enjoys it!!! maybe when i do have kids it will be easier to get iberian ham here in the states. This sounds like fun. I’m going to try to remember to do it. I’m feeling lazy right now. Hola Valli :D. I’ll post both for sure ;D. Have a great weekend. Ok, Maria…. one that goes for sweet :D. You deserve them girl!!! Your welcome, you so much deserve it! Thanks your so sweet :) I love awards ha ha. You are only 18? Aaaaaaahhhhhh so young and yet so experimented in the kitchen!!!! I didn’t know how to fry an egg at that age. Didn’t care for kitchen and cooking at all! You deserve it more now that I know :D. But no alcohol for you…. I just learned that you have to be 21 in America to consume alcohol. In Spain, 18 is enough to drink a good wine, for example. Cheers to you amigo! Your daughter is a heartbreaker in the making. Thank you for your very kind words. Nuria, you are such a sweetie! Thank you for the kind words! Your “granddaughter” is absolutely adorable. So beautiful, just like her step-grandma! I’m finally back from this trip and have so much to catch up on. The salmon and the rosquillas both look spectacular! I’ve missed so much being internet deprived. I feel like I’ve been living in a mountain hut… close, maybe. I Have Been in Spain 20 years ago and I really love that country y so nice and the food y Delicious. 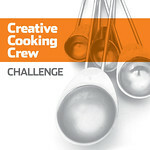 Congrats for your wonderful cookingblog. Hola Olguis! 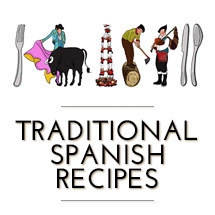 Welcome to Spanish Recipes :D. Yes I’m from Spain, Barcelona.